Instant wrinkles eraser is your quick fix to youthful, wrinkle-free skin. Fast penetrating peptides, gaba and argireline work immediately to plump deep wrinkles and erase fine lines. The eye gel serum significantly diminishes wrinkles and fine lines while improving skin firmness. INSTANTLY ERASES WRINKLES AND FINE LINES: Astra Cosmetics Anti-Wrinkle Eye Contour Gel’s anti-aging formula immediately eliminates wrinkles and fine lines for remarkably younger-looking eyes. FIRMER, YOUNGER-LOOKING SKIN: Enhances the firmness of the delicate skin around the eyes for more youthful, energetic appearance . ACTIVELY COMBATS AGING: Restructures your skin, relaxes facial muscles and discourages the formation of new expression lines. ALL NATURAL INGREDIENTS: All of our products use only natural ingredients, are paraben-free and hypoallergenic. 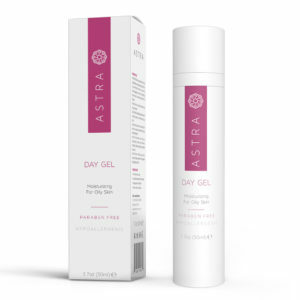 Astra Cosmetics Anti-Wrinkle Eye Contour Gel contains sodium hyaluronate. SATISFACTION GUARANTEED OR YOUR MONEY-BACK: If you are not 100% satisfied, contact us for a full refund. Your eyes are the first thing most people will notice about you. When the skin around them starts to wrinkle and form fine lines, it can make you look older than you are and feel less attractive than you’d like. That’s why we developed Astra Cosmetics Eye Contour Gel—to help you look your absolute best, feel more beautiful and fight the signs of aging, all at the same time. Our anti-aging gel is one of the most powerful on the market today. Based on a proprietary formula of fast-acting peptides (amino acids which affect skin at the cellular level), our fast-acting gel immediately smooths the wrinkles and fine lines around your eyes while delaying the formation of new expression lines. You look your best while Astra Cosmetics Anti-Wrinkle Eye Contour Gel continues to work behind the scenes to continue to fight the signs of aging. 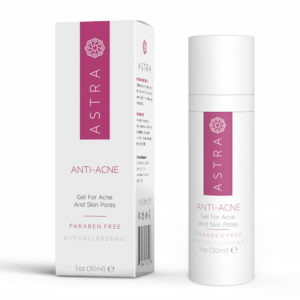 All Astra Cosmetics products are developed using a scientific blend of vitamins and natural ingredients for a completely natural but remarkably effective skincare remedies. Place your order now and if you are not completely satisfied, we will refund your money, no questions asked. Aqua, Acetyl Hexapeptide-8, glycerin, xylityl glucoside, anhydroxylitol, xylitol, Camellia Sinensis (green tea) extract, hydroxyethyl acrylate/sodium acryloyl dimethyl taurate copolymer, phenoxyethanol, caprylyl glycol, cetostearyl alcohol, propylene glycol, mineral oil, gamma amino butyric acid, glyceryl monostearate , dimethicone, cetyl phosphate potassium, tocopheryl acetate, sodium hyaluronate, ceteareth-12, ceteareth-20, allantoin, imidazolidinyl urea, BHT, fragrance.